While a Siri search for content would previously bring up a Netflix movie, commanding a device to play the title would redirect users to the Netflix app and require the users to select the title. Now, following a search, the movie streams automatically from Netflix, the same as it does from other subscription services like HBO Go. However, Netflix movies will still not appear in recommended titles for users in the TV app, nor will it allow queueing of Netflix-exclusive programming. Additionally, title art in the "up next" queue is sporadic, with no apparent pattern to what will load and what will not. The software hooks for the feature may have arrived alongside the Jan. 17th update to the Netflix app, with the functionality slowly rolling out to users of the service. The TV app was previewed during the "Hello Again" MacBook Pro rollout event, and was released alongside Apple's iOS 10.2 update. 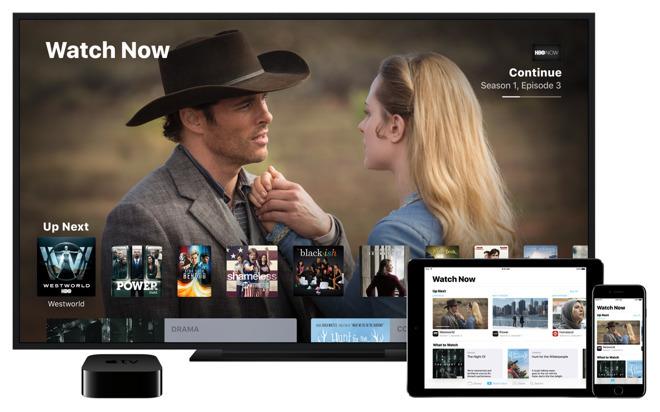 The TV app is intended to make discovery easier across multiple sources of video, and has the ability to jump into live video streams as long as the necessary apps are installed.